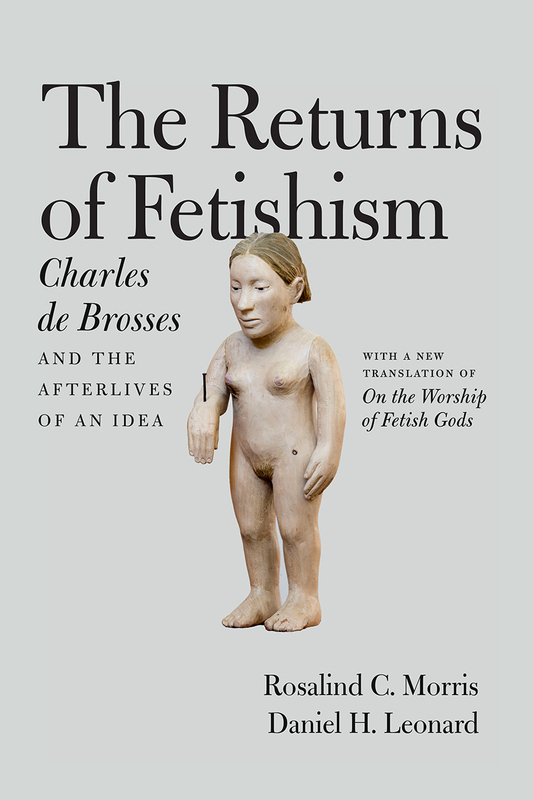 For more than 250 years, Charles de Brosses’s term “fetishism” has exerted great influence over our most ambitious thinkers. Used as an alternative to “magic,” but nonetheless expressing the material force of magical thought, de Brosses’s term has proved indispensable to thinkers as diverse as Kant, Hegel, Marx, Freud, Lacan, Baudrillard, and Derrida. With this book, Daniel H. Leonard offers the first fully annotated English translation of the text that started it all, On the Worship of Fetish Gods, and Rosalind C. Morris offers incisive commentary that helps modern readers better understand it and its legacy. The product of de Brosses’s autodidactic curiosity and idiosyncratic theories of language, On the Worship of Fetish Gods is an enigmatic text that is often difficult for contemporary audiences to assess. In a thorough introduction to the text, Leonard situates de Brosses’s work within the cultural and intellectual milieu of its time. Then, Morris traces the concept of fetishism through its extraordinary permutations as it was picked up and transformed by the fields of philosophy, comparative religion, political economy, psychoanalysis, and anthropology. Ultimately, she breaks new ground, moving into and beyond recent studies by thinkers such as William Pietz, Hartmut Böhme, and Alfonso Iacono through illuminating new discussions on topics ranging from translation issues to Africanity and the new materialisms.